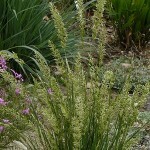 Height x Width: 2 ft. x 3 ft.
Northern Sea Oats’ upright bamboo-like foliage produces unique drooping, flat panicles or seed-heads. 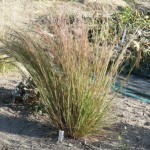 The foliage turns a beautiful bronze in the fall and remains highly ornamental throughout winter. 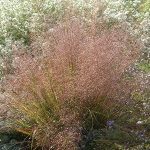 Seed heads are great for dried bouquets. Height x Width: 2-4 ft. x 2 ft. 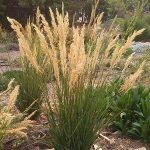 Sand Love Grass is an attractive bunch grass with graceful airy seed heads, golden color in winter. Height x Width: 18 in. x 15 in. 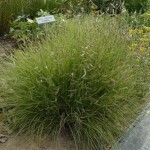 Idaho Fescue is a short, tufted bunchgrass with grey-blue blades. 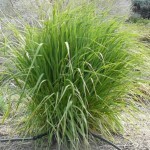 Cool season grass, grows early in spring and stays green in winter. Nice garden accent year-round. Avoid over-watering or fertilizing. 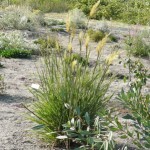 Height x Width: 5 ft. x 3 ft.
Great Basin Wildrye is the largest native Western bunchgrass. 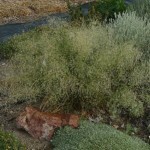 Tall and stately foundation plant for the dry garden. Seed heads in late summer . 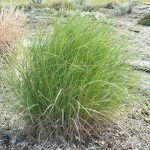 This beautiful warm season grass forms graceful round clumps, great for full hot sun and average soil.Widely used as an ornamental grass in the Midwest,It looks great in either a formal setting or naturalized in a meadow. Does not seed out aggressively.